A stay of execution for the Mac mini? The iMac won't be updated before Christmas, says Apple. While not totally ruling out the possibility of more product launches before Christmas, an Apple spokesman has indicated that this is pretty unlikely. Reacting to speculation that the company could be about to update the iMac and ditch the Mac mini, Bill Evans told MacWorld that "Our holiday line-up is set," which seems pretty unambiguous. Apple doesn't usually comment on speculation, so this revelation comes as something of a surprise. 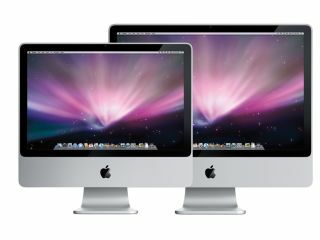 Some commentators are suggesting that all the iMac-related rumours that are flying about may have been damaging sales of the existing models. The theory goes that if customers are led to believe that an updated version is on the way, they're unlikely to invest in what they see as soon-to-be-outdated technology. Of course, there's also a chance that Apple is playing games here. Its line-up may very well be 'set' internally, but that doesn't mean for sure that it's told the rest of us about it. However, MusicRadar's suspicion is that the statement means what it seems to mean, and that the next wave of product announcements will come at the Macworld conference in January 2009.